As we gather at COP 22 in Marrakesh there are many reasons why attention is focused on African Agriculture – and why Climate Interactive is engaging to help diffuse Climate-Smart Agriculture policies. We are partnering with Mohammed VI Polytechnic University (UM6P) in a multiyear project to model the intersections among agriculture production, emissions and resilience. We will be presenting our work over the two-week period at COP22. Please join us at our booth to learn more about the work and becoming a partner. Food production must increase to serve a growing African population – already twenty percent of African people are undernourished, and the population is expected to double to 2.4 billion by 2050. There is likely to be greater demand on African agriculture as part of feeding the world as well. This presents an opportunity to develop Africa’s economy, increase employment and decrease poverty, but also presents a challenge because rainfall and drought trends are getting worse. Production has to increase at the same time as the negative impacts of climate change are already being felt in Africa, and are likely to become worse. Both lower average yields and the incidence of extreme events are causing increasing harm to food security. Climate change has to be kept to a level where adaptation is possible, and African nations are going to be part of the solution. African emissions compared to global emissions. African nations are presenting NDCs where agriculture is an important part of emission reductions. 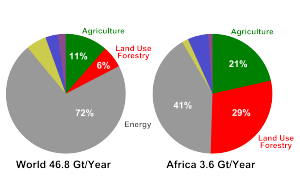 In Africa, agriculture represents a larger percentage of greenhouse gas emissions than in the rest of the world. There is an important interaction between agriculture and land use, which also represents a large share of greenhouse gas emissions. 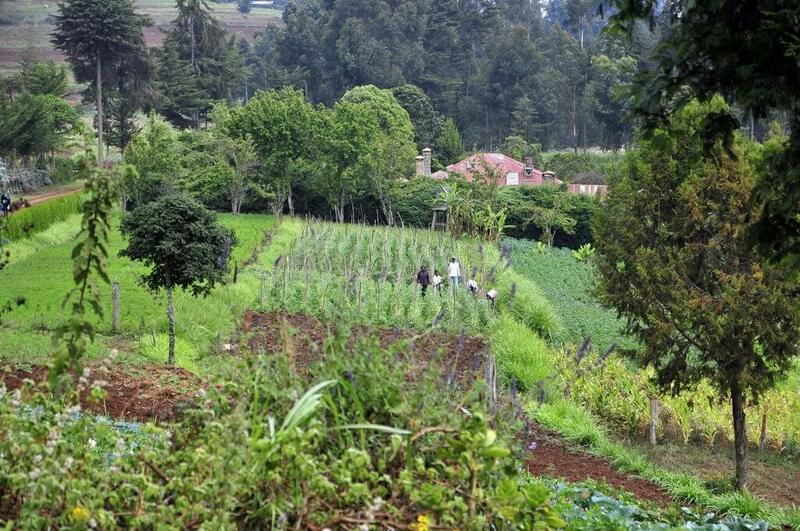 Morocco, as the host of COP22, has put forth the Adaptation of African Agriculture initiative aiming to make agriculture more productive, more resilient, and better able to contribute to lower emissions. At this moment, after the commitments made in Paris and during the work to implement them, it is important to seize the opportunity to engage in this work. 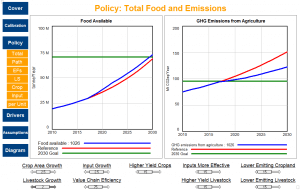 The Climate-smart Agriculture tool user interface. Climate Interactive is fortunate to be able to partner with UM6P and cooperate with others – so far we have contacts in Morocco and Ethiopia but are looking for more. We are using our unique skill set to help decision makers understand what works in Climate-Smart Agriculture. This project will provide a unifying framework to explore the food, resilience, and climate impacts of changes to the agriculture system. Please come and see our work at COP22 in Marrakech or email Travis Franck for more information.